The next chapter in Peter Jackson's film adaptation of J.R.R.Tolkien's "The Hobbit" has just released it's first trailer. When we last left our heroes, they had just fought off a legion of orcs, and were on their way to the Dwarven Kingdom in the Lonely Mountains. Much like in The Lord of the Rings, the giant eagles that saved everyone from the orcs could have easily just flown them to their destination instead of dropping them off hundreds and hundreds of miles away with their destination in sight, but again, much like Lord of the Rings, if they had done that, we wouldn't have gotten a great story, and with that, a great trailer for what is sure to be a great film. 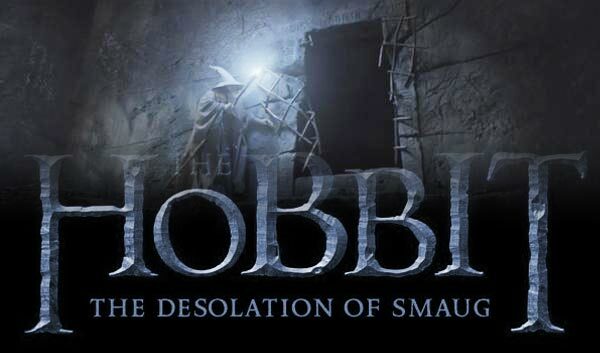 Aside from the mostly negative feedback on the 48 frames per second, the first chapter of "The Hobbit" trilogy was massively successful, and knowing that Peter Jackson's still got it regarding the Tolkien universe, "The Desolation of Smaug" is sure to have all the fun, thrills, scares, and adventure of "An Unexpected Journey", if not more. And yes, we all know, Legolas is not in the book. Quit complaining about it. Orlando Bloom needs a paycheck too. Also, Peter Jackson is turning a book that is a few hundred pages into 3 two-hours films. Clearly some of the film is not going to be in the book. Regardless of who is in the book or not, or how many frames per second the film is in, we are all going to be in the theater having fun, and enjoying the adventure that is Middle Earth.